MINNEAPOLIS & AUSTIN, Texas--(BUSINESS WIRE)--The team of entrepreneurs including co-founders of the Dell acquisition Enstratius announced today at SXSW in Austin the public availability of their new online streaming platform, Seeka TV. Seeka TV is the first of a new generation of online platforms that serve both content creators and viewers. The 8th Indie Series Awards will be held on April 5, 2017 in Los Angeles. Presented by We Love Soaps, the awards recognize independently produced, scripted entertainment created for the web. NEW YORK, NY, February 1, 2017 – The nominations for the 8th Annual Indie Series Awards were revealed on Wednesday, February 1. The ISAs celebrate the best in independently produced scripted entertainment created for the Web. Nominations were announced in 29 categories. DubWeb Fest Awards were held in Filmbase on Sunday night 20th November, after the festival held a full weekend which featured online storytelling, workshops, panels and networking in a celebration of the digital story and acknowledging excellent digital content and web series. The DubWebFest concluded last weekend (20th November) with an Awards Ceremony at Filmbase. Someone is still trying to get back home because of a killer fog (in a John Carpenter's way), but for the rest of us it's all done: the second edition of the Bilbao Web Fest is over and we have to deal with what it bequeathed. Vloggers and online content creators to compete next month Auckland, New Zealand, 17 October 2016: The NZ Web Fest #NZWF16 has today announced the finalists who will compete across six award categories next month at the second edition of New Zealand’s only Web Fest. The NZ Web Fest #NZWF16 has today announced the finalists who will compete across six award categories next month at the second edition of New Zealand’s Web Fest. In less than a month, the third NYC Web Fest will take place. They will be showing a total of 96 series over three days. They recently announced the nominees for the awards show which will conclude the festival. Earlier today, the third annual NYC Web Fest (NYCWF) announced their award nominee list. 96 series will be screened this year between November 10th and November 12th at the PIT Loft on West 29th Street in Manhattan. Not only that but the series has yet again garnered web series attention from a huge international audience. Come November 10th, the 3rd annual NYC Web Fest will showcase new and upcoming web series from across the globe. Named one of the 6 Great New Media Festivals by Backstage, it’s a weekend highlighting the best of the best in the web series world, with screenings, panels, and awards. It’ll all take place at the PIT Loft in Manhattan and will run November 10th-12th. Ninety-six series will go against one another, hoping to be the best in their category. The 3rd Annual NYC Web Fest (NYCWF) announced its official selections today – a wide variety of web series that span the globe. The PIT Loft on West 29th Street will host the three-day festival. Of the 96 series highlighted, nearly half are from the tri-state area, with an impressive international showing as well. Thanks to the growth of “film noir” in the 1940s and 1950s through films like THE MALTESE FALCON, THE BIG SLEEP, TOUCH OF EVIL and DOUBLE INDEMNITY, just to name a few, gritty yet seemingly realistic stories of crime and passion have gripped audiences for generations. New York, NY- September 23, 2016 – the 3rd Annual NYC Web Fest (NYCWF) has announced its Official Selections today – a wide variety of web series’ that span the globe. EXCITED TO SHOOT ANOTHER CROSSOVER EPISODE – THIS TIME WITH TOM CHAMBERLAIN OF THE PANTSLESS DETECTIVE – WHILE IN USTICA AT THE 2016 SICILY WEB FEST. Another edition of the Sicily Web Fest, the second one, comes to an end and hydrofoils are leaving Ustica with over a hundred of authors, creators, directors, actors from all over the world, on their way back to home. You came here with enthusiasm and expectation, and you're now leaving with smiles on your faces and hopefully with good memories of our island in your heart. Tout l’été, je vous propose chaque jour une nouvelle websérie à voir gratuitement quand vous voulez où que vous soyez. Et aujourd’hui je vous annonce le retour du détective en slip ! Enfin, je dis « en slip », mais je ne suis jamais allé vérifier sous son imperméable. Ce qui est certain, c’est que Richard Panceliss ne porte pas de pantalon. THANK YOU ALL FOR THE WONDERFUL SUBMISSIONS AND ALLOWING US TO BE A PART OF THE JOURNEY WITH YOU! WITHOUT ALL OF YOU AUSTIN WEBFEST IS NOTHING! WE WOULD LIKE TO THANK EACH OF YOU PERSONALLY FOR BEING PART OF OUR JOURNEY! The Sicily Web Fest, from 26 to 28 August, will be held at the island of Ustica, has closed inscriptions and It has selected 89 webserie. The webserie selected come from 15 several Countries There will be 26 awards to the winners. Among organizers of Sicily Web Fest, there will be also EmergingSeries with Mirko Lino and Giusy Mandalà. WebFest, a digital/web series festival, is coming back to Austin for a third year. Boasted as the only festival of its kind in Texas, this year the festival joins forces with Austin Creative Alliance to be considered for ACA’s sponsorship. This will allow the festival to apply for grants to bring WebFest to the next level. Big news The Pantsless Detective fans! Season 3 of the Austin, Texas – based comedy noir series is right around the corner. The latest season of this popular, online comedy web series will debut June 27, and will also be featured in the 2016 Austin WebFest. In an industry that’s continued to experience extraordinary growth, significance and popularity, there are many people who’ve contributed to its success, while at the same time, leaving a profound impact on the lives and careers of those they’ve touched. One of those people was Carter Mason, the founder and CEO of JTS.tv (Just The Story), and filmmaking app provider Flixtra. Interview: Dipu Bhattacharya & Tom Chamberlain, "The Pantsless Detective"
Panceliss by name, pantsless by choice. Nothing can stop private detective Richard Panceliss when he’s working a case—not even the need to put on a pair of pants. The Excellence Nomination Ceremony of Rome Web Awards 2016 has been ended on Sunday 8th of May. RWA Competition is entered in the second phase of this edition, where all winners of Merit category will compete for Excellence Awards of Italian Web Oscars. Il Rome Web Awards ha appena svelato le diciotto categorie delle opere in concorso. Gli Oscar italiani del web giunti alla terza edizione, hanno raggiunto questo ragguardevole record per meglio adattarsi alla varietà delle opere in concorso. En 2015, jWeb Séries Mag a chroniqué, présenté ou même simplement cité plus de 250 webséries (you’re welcome). Elles étaient doc toutes automatiquement sélectionnées pour un «Trophée de Marbre». Ensuite la règle était simple : 35 catégories pour 35 gagnants, aucune websérie ne pouvant recevoir plus d’une récompense. Unlike past years’ Faves list, I’m not doing a list of favorite shows from 2015. Instead, 2015 was full of moments and events that will make the year memorable. In no particular order, here are my favorites of 2015. WVG's Susan E. Clarke chats with Tom Chamberlain and Dipu Bhattacharya, co-creators of "The Pantsless Detective", at Bilbao Web Fest. Le détective sans pantalon ne fait pas de ronds de jambes. 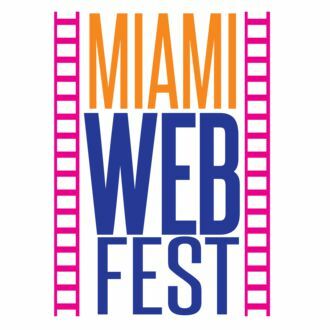 Daniela DiIorio's Interviews at Miami Web Fest 2015! I‘ve written before about my love of all things noir, but loving something doesn’t preclude one from being aware of its flaws. In fact, some might say that to truly love something, you must acknowledge what’s wrong with it. If that’s the case, then Dipu Bhattacharya and Tom Chamberlain are even bigger noir fans than I am. Kyle’s Favorite Shows of 2014 (In No Particular Order). Daniela DiIorio chats with The Pantsless Detective's Tom Chamberlain & Dipu Bhattacharya about the premiere of Season 2, the series' planned 6 season story arc and upcoming web fests. Check out their YouTube channel for additional shorts and promos! WSS showcases the hottest new web series, taking audiences behind the scenes and on set with the Stars of the New Digital Age. Episode 4 features the cast and crew of The Pantsless Detective! More than 60 web series from around the world will compete for awards in 23 categories at the second annual Vancouver Web Fest. This year's festival will take place March 6 to 8 at Performance Works on Granville Island. ATL WEBFEST is proud to announce the first round of Official Selections for 2014. Vancouver Web Fest has announced its official selections following its web series festival. The Vancouver Web Fest just announced its official selection for 2014. Local industry professionals like Troika Picture’s Walter Daroshin and actress Christine Elise McCarthy will judge between shows like “Kids React” and “Wrecked” to be honored at the award ceremony. The Vancouver Web Fest has announced the dozens of web series that will be screened at the inaugural event. On the list of official selections are locally produced series, such as The Actress Diaries, Convos With My 2-Year-Old, The True Heroines, and Yoga Town, as well as international fare. The Pantless Detective -- Austin-based actor and filmmaker Tom Chamberlain and producer Dipu Bhattacharya (who worked together on the documentary Six Man, Texas) seek funding to finish the first season of their comedy noir web series about a detective who solves crimes with the help of his gal Friday and fearless intern.